I know I already put a recipe up this week, but this one has been waiting to see the light of day and I thought that FaveDiet’s Blog Hop was the perfect excuse to give it that chance. Of course, I only realized after posting the link that the theme is deli salads and I am in non-compliance :\ Die hard hoppers, please forgive this first-timers mistake. 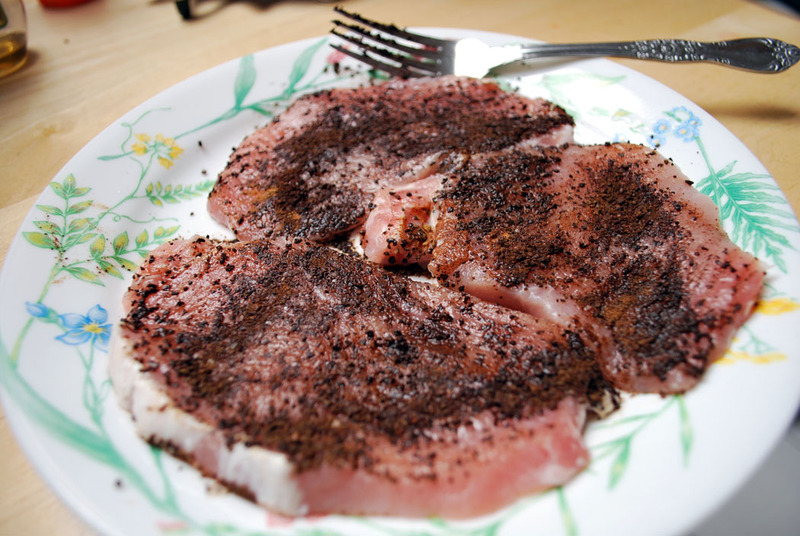 As to the recipe itself, several months ago I saw a sign for coffee encrusted pork (loin I think) and it intrigued me, so here’s my twist on the idea. Mix together the coffee grounds, clove, cinnamon & salt then spread thinly across a plate or other flat food preparation space. 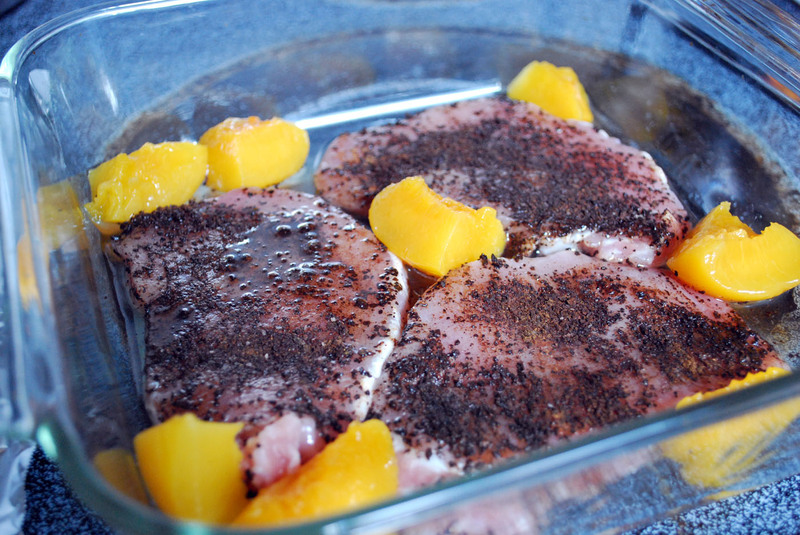 Rinse your pork and lay out over the spices. Press and flip. Transfer into a glass dish and fill in spaces with pieces of peach. Pour in sauce around the chops. Bake at 375 degrees for about 25 minutes. Makes approximately 3 servings at 195 calories a serving. 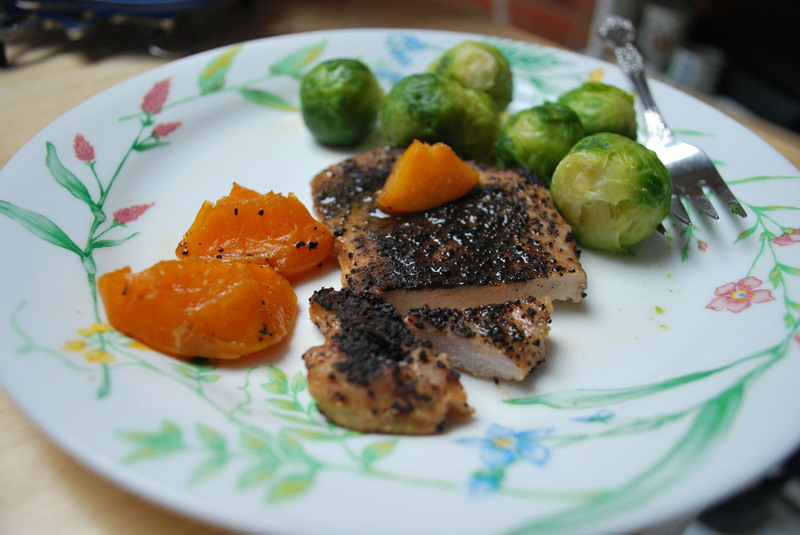 This is still an awesome recipe, thanks so much for sharing this in my blog hop! I think this would be a great dinner option to pair with a healthy deli salad.